Getting a good job is the dream of everyone who wants to be a part of the workforce—fresh graduates and professionals alike. But how do you actually ensure that what you have are able to impress potential employers? 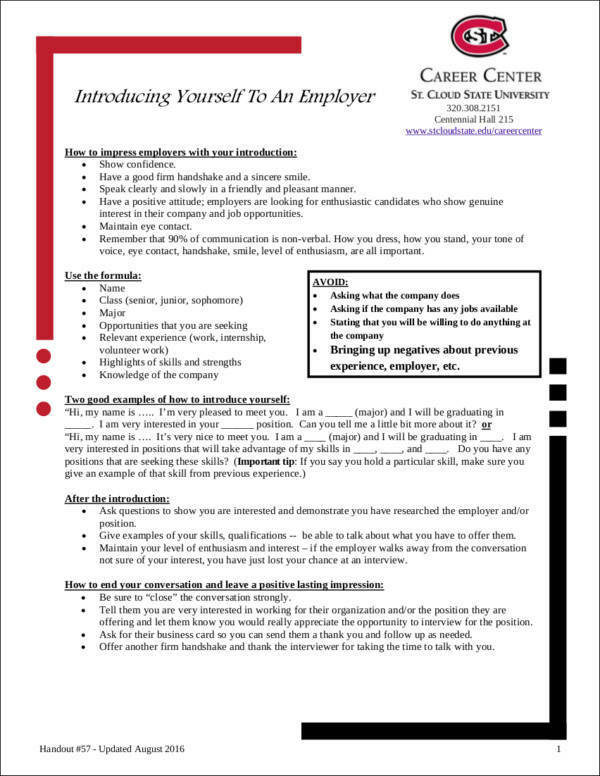 You can come up with a self-introduction letter that will help to ensure that you have everything covered with regards to properly introducing yourself. But how do we do this? Well, we are here to help you out! 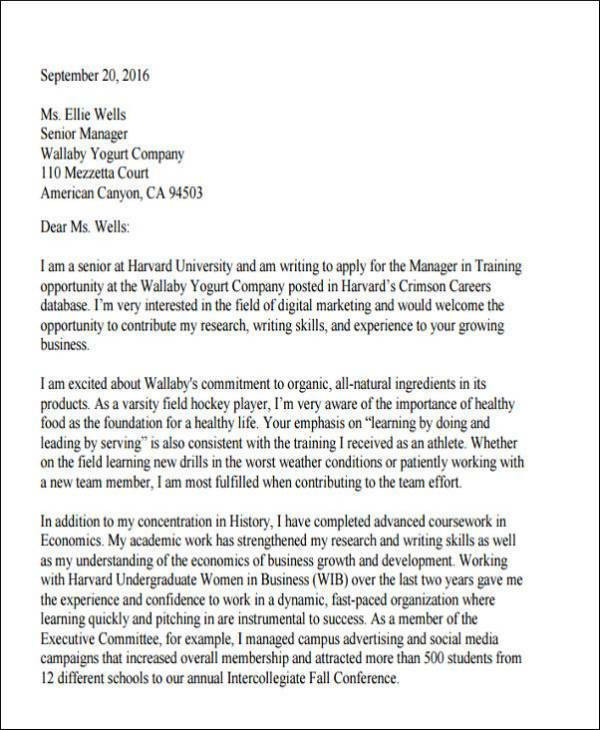 In this article, we would like to give you tips on how to write a self-introduction letter that will definitely get you the job! We will also be sharing a couple of sample introduction letters to download for free to ensure that you have everything that you need when you start writing your very own employment introduction letter. If you are ready, just scroll down and you are sure to find what you are looking for! As with any type of employment letters, writing an employment introduction letter can be quite intimidating and is definitely nerve racking! Everybody knows that job applications are no joke, which is the reason why writing letters for employment purposes should not be taken for granted and should be done with utmost care as you want to impress the employer. 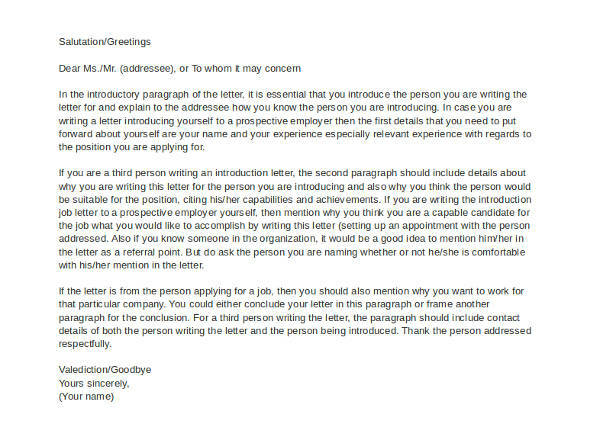 If you write your employment introduction letter in a lousy manner, your letter will be thrown to the garbage bin and you will lose the opportunity of getting a good job because of your carelessness in writing your letter. The letter you will be sending the employer is just as important as the job resume that you will enclose it with. It will be a means of gauging your interest and dedication to getting the job. In order to end up with a good introduction letter, we have a couple of tips to share with you. Make sure that your resume covers all of the necessary items that the potential employer might be looking for even if they are currently not hiring actively. Review the grammar, make sure that it has substance, and that what you are including is relevant to the industry that the potential employer is currently in. You may ask someone to review your resume for you and make sure that you ask for suggestions to improve your resume. An updated resume is the first step into ensuring that you are able to write your introduction letter for a job in the nick of time. While you might not be sending a resume alongside your introduction letter just yet, you want to make sure that you have one readily printed or ready for sending. You may want to check out Top 20 Resume Tips That Will Help You Get Hired to ensure that your resume is in tip-top shape before you send it to the potential employer. 2. What Is the Company About? Do some research. You want to make sure that you are knowledgeable enough about what it is that the company does to make sure that you will be able to easily relate your skills and career objectives with that of the company. When it comes to writing your introduction letter, you want to make sure that you keep everything short and straight to the point that you would like to get across. You would like to assume that the recipient of your letter is someone who is busy and does not have a lot of time to go through a long letter. You want to ensure that you are able to catch his/her attention immediately. 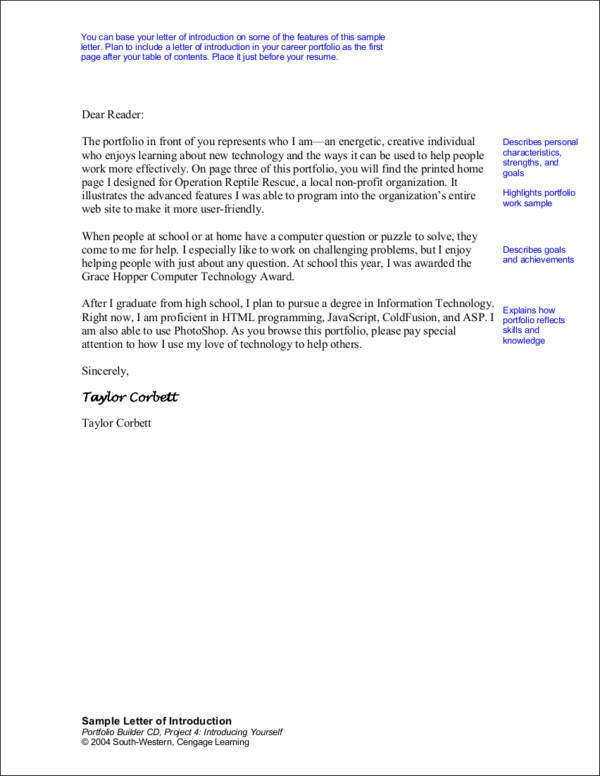 You may also see sample business proposal letters. In the first paragraph, you want to make sure that your letter’s introduction is short and that it will state what position you are looking to fill or what department you are aiming to be a part of. In the second paragraph, you would like to briefly explain your work history, your current position, and a quick description of how your previous jobs relate to the job that you are aiming for. You may also want to include the number of times you have been promoted, if applicable, and any awards that you have garnered in your current and previous jobs. These can help to give you an edge over other candidates who are also looking for the same position that you want. You may also like requisition letter samples. The third paragraph should be a clear description of how your skills and experiences will be beneficial for the company. Be confident but make sure that you are not going over the top with your confidence. Always remember that employers would like to know what they will gain from you should you be chosen for the position instead of telling them what you will gain from them. You may also check out official letter formats. The second to the last paragraph should give a sense of your proactiveness. You want to let them know when is the soonest date that you can start working and if you are up for relocation should there be a need for one. Lastly, do not forget to thank the employer for the time that they have allotted to read your letter. You should also make sure that you include your pertinent contact information especially if you are writing an email letter. You may also include the most convenient times and days that they can contact you. You might be interested in appreciation letters. Remember that the overall tone of your letter of introduction should be consistent all throughout. Whether or not you already know the recipient or otherwise, keeping everything formal, polished, and professional is advised. You may also refer to Rules for Writing an Introduction Letter for more information and tips about coming up with an introduction letter. You may also apply a couple of tips from Tips for Making Your Business Introduction Letters Stand Out that will also help to make your introduction letter stand out from the rest of the candidates. 1. Employment cover letters. One of the main differences between a cover letter and an introduction letter is the inclusion of the resume. 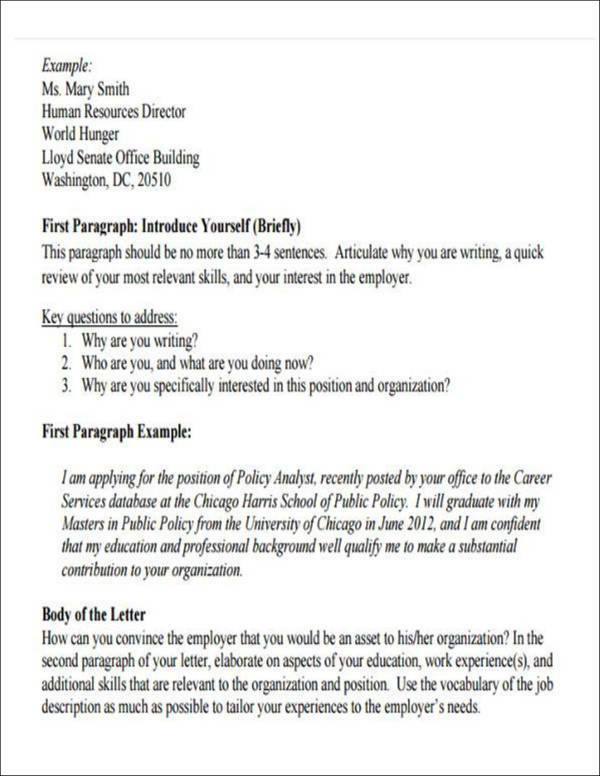 A resume is enclosed with a cover letter while an introduction letter is sent as is. 2. Referral letter. An introduction letter is not a referral letter. Referral letters, from the word referral, are used to refer someone for the job. Referral letters are typically written by a mutual acquaintance who is already working in the company and would like you to get hired in the company. 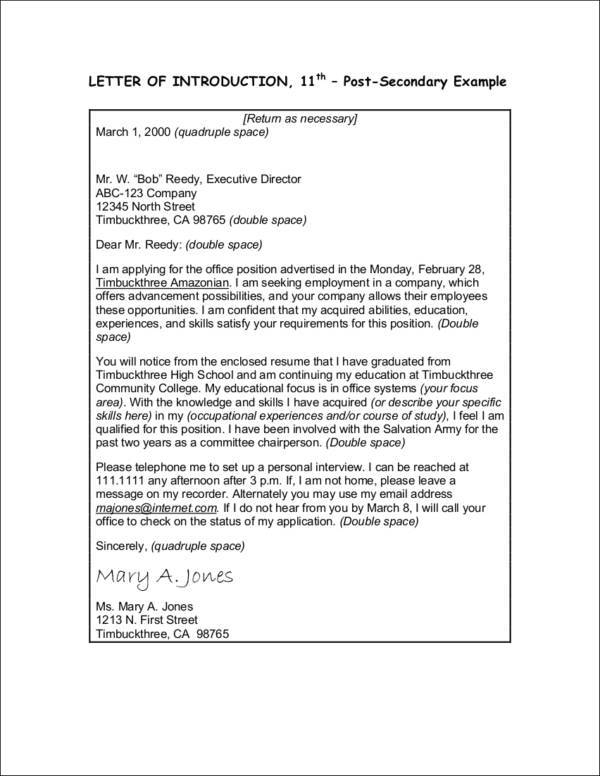 You may also see sample recommendation letters for employment. Letter writing may seem like a lost art especially nowadays where technology has paved the way for easier business communications. However, for employment purposes, letter-writing is definitely an art that is learned through countless practice and constant research. It is essential that when you decide to write a letter of introduction for employment purposes that your letter is not dragging and that it is a good example of a short yet effective letter. Your letter can be a breakthrough to the countless letters of introduction that an employer may receive on a daily basis. It should definitely address and impress the employer in a smooth manner. While keeping it formal is best, you still want to make it seem a tad bit conversational and friendly to give a sense that you are an approachable candidate, plus this also helps to give a sense of confidence. You may also see official letter templates. Being ambitious when it comes to the perfect job is not all that bad. In fact, the right amount of being ambitious is what you need to ensure that you get the job that you are looking for.